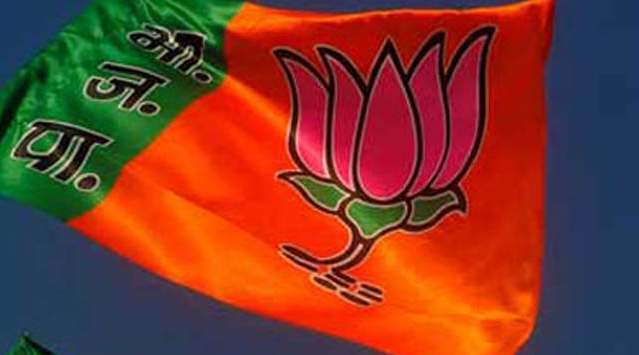 How has BJP fared in their 14 years of rule in Chhattisgarh? With the CM of the state consistently accused and named in a number of scams, it doesn’t look like the state is gaining much from the BJP rule. Since 2003, BJP has been in power in Chhattisgarh, a state where nearly 40 percent people live below the poverty line which is highest in the country. Leaving aside the development of the state, during the fourteen-year rule, the Chief Minister Raman Singh, himself has been allegedly accused of a number of scams, according to reports, seen below. In many instances, the Congress party has accused the CM of being involved in the alleged PDS scam that has caused an estimated loss of Rs 36,000 crore to the state exchequer. It all started when the BJP government in the state brought in the Chhattisgarh Public Distribution System (Control) Order, 2004. The BJP campaigning strategy in 2008 and 2013 Assembly elections was also largely based upon claiming success in the implementation of the PDS system in the poorest state and CM Raman Singh was even termed as ‘chawal wale baba’ and eventually winning in them. The PDS scam came to light only in 2015 when the state Anti-Corruption Bureau (ACB) conducted raids on several State Civil Supplies Corporation also known as Nagrik Aapoorti Nigam (NAN) and recovered large sums of money along with multiple incriminating documents with details of alleged payments done to Chief Minister Raman Singh, his family and staff. According to the reports, the investigation conducted so far in this supposedly unprecedented scam, has been slow and is still pending with the state investigation agencies, perhaps under the influence of high profile leaders. The allegations that Chief Minister Raman Singh and his Cabinet ministers were involved in a multi-crore Indira Priyadarshini Mahila Nagrik Sahkari Bank scam emerged when the scam was unearthed in 2006. According to a CD released by Congress showed the prime accused in the scam, allegedly talking about how the bank officials paid Rs 1 crore each to CM Raman Singh, and two senior cabinet ministers. The BJP led Chhattisgarh government is also facing allegations over a dubious deal made with AgustaWestland, an Italian Helicopter company in the purchase of a specific Agusta 109 Power E helicopter which took place in the year 2007. Swaraj Abhiyan has released documents throwing light on the way the deal was procured, while a plea, filed in this respect, is still pending with the Supreme Court. Recently, it has been reported that the State Minister Brijmohan Agrawal’s family had illegally acquired 4.12 hectares of forest land along with further encroachments on to government land to build a resort in Mahasamund district. In the 2016 Panama Papers leak, name of Abhishek Singh, son of CM Raman Singh, was mentioned with accusations of having offshore entities also drew the attention of opposition parties which demanded the resignation of CM Raman Singh for alleged corruption.